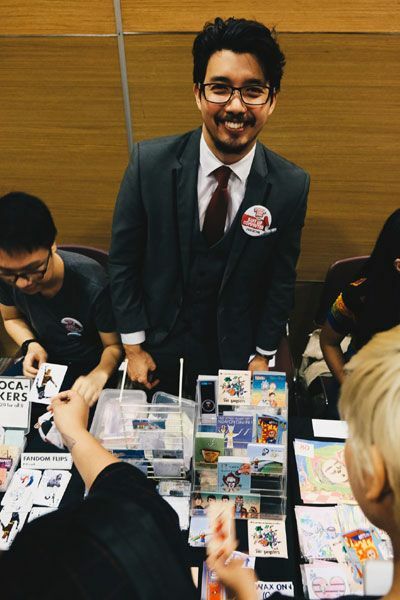 In the last few years or so, local independent artists have been successful in sharing their deepest passions through local pop culture conventions. 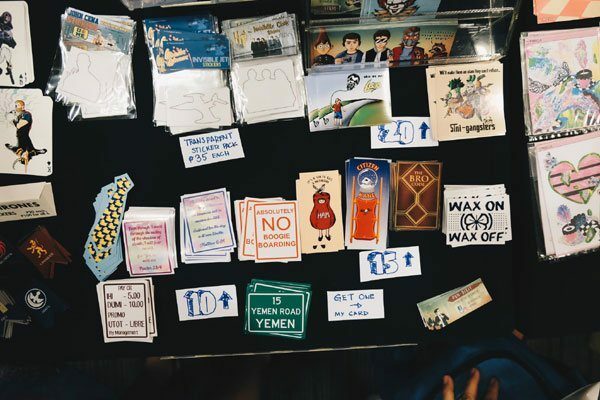 At these events, stickers had been a staple, representing different fandoms in the community. And recently, the versatile medium is making a comeback. 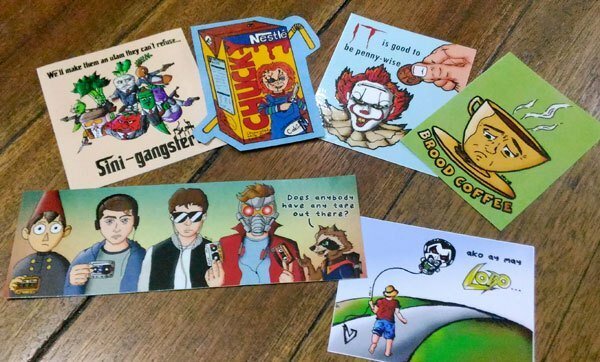 Sticker Con MNL is the brainchild of several artist who have a passion for stickers. 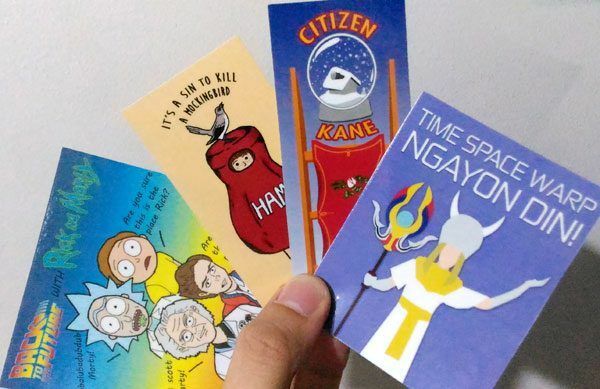 Headed by Grace Marcellana of Fandom Feels PH, the group hosted the biggest gathering of some of the best local sticker artists, fans, and collectors earlier this month at the Bayanihan Center in Pasig. I was lucky enough to be part of the event as an artist. I have long been putting my doodles to good use by turning them into stickers. As far as I can remember, I've always wanted to be an artist, but never had the courage to go all out until now. I have been sharing my sketches on my Facebook page Suit Up Commuter and on my Instagram account (@kevmark77). Peers suggested expanding my artistry, which got me into stickers. At the same time, StickerCon was about to launch so it made the decision-making easier. Why stickers? Aside from being a sticker hoarder, I find the art form's flexibility appealing—it can be attached to any surface that would allow it. As soon as this happens, those areas become a canvas, but more importantly, a home for one's creativity. Being able to bring a part of you almost anywhere, one sticker at a time, is pure magic. Most of my creations are a product of vector art and random drawings when I'm killing time in a coffee shop. I scan the ones I like and render them digitally. I rely on puns and humor for my designs, hence the name "Pun-dikits." Other works are based on pop or geek culture, series, and movies that I love—stuff that I grew up with and are really close to my heart. 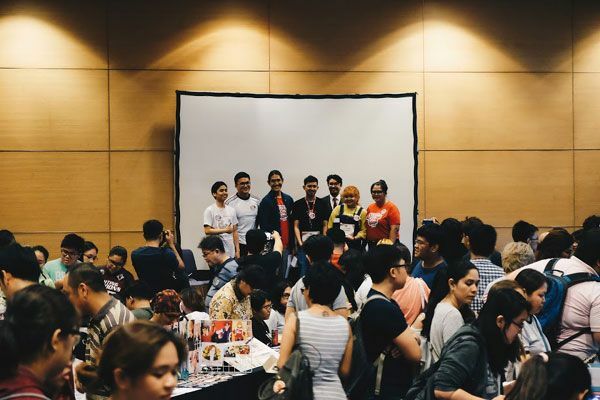 Sticker Con MNL 2018 featured various activities that catered to more than a thousand attendees, as well as design contests, games, raffles, and panel interviews for both sticker enthusiasts and artists. I was also invited to be part of the panel session "Peeling Close" to talk about my style alongside other artists. I was a bit hesitant to join, given it was only my first time doing something like this. 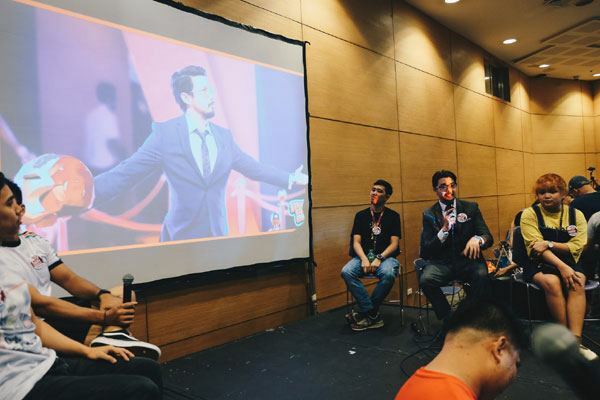 The organizers explained that I'd represent the newcomers and show the audience that background doesn't matter when it comes to being a creator. 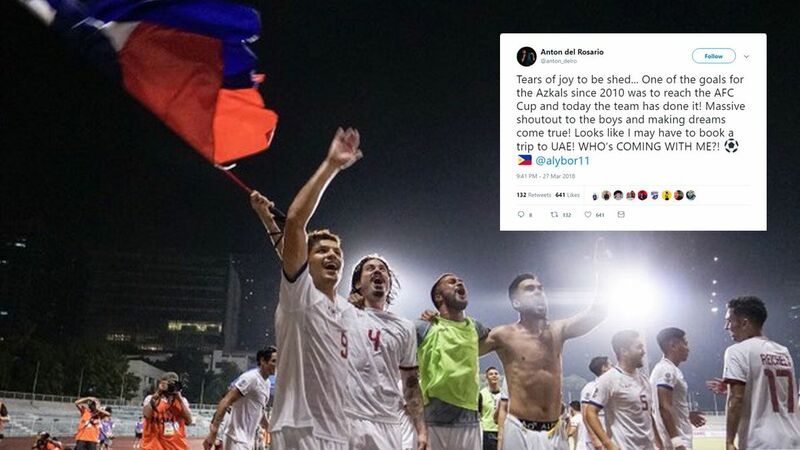 It was very surreal to be on the same stage as these well-known artists, some of whom are also recognized not only here, but also internationally. It was a meaningful discussion about our humble beginnings and what made us decide to pursue art. Like some of the artists in the panel, I was neither an art major nor a degree holder in fine arts. I'm an IT Engineer by profession, but simply loved drawing since I was young, from notebook doodling to digital art, and even making props for cosplay. With this interaction, I realized that art can come from all walks of life, as long as you have the passion and willingness to learn. 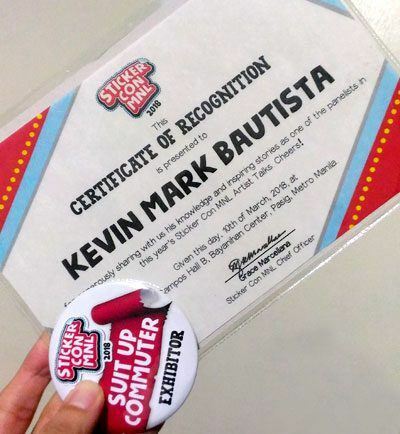 I've been to a lot of comic/toy/cosplay conventions and I can attest that StickerCon MNL 2018 is one of, if not my most defining experience as an artist. This marked my first convention as a sticker maker, which is truly a great achievement. 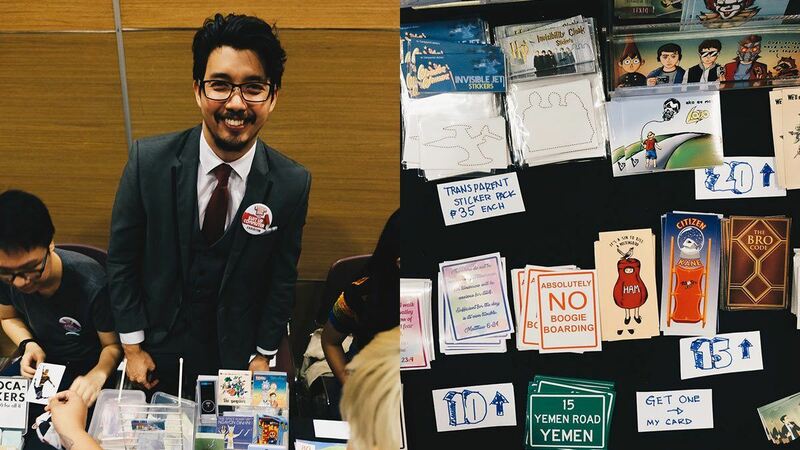 Everything that happened in Sticker Con MNL will definitely—allow me one last pun—stick with me.